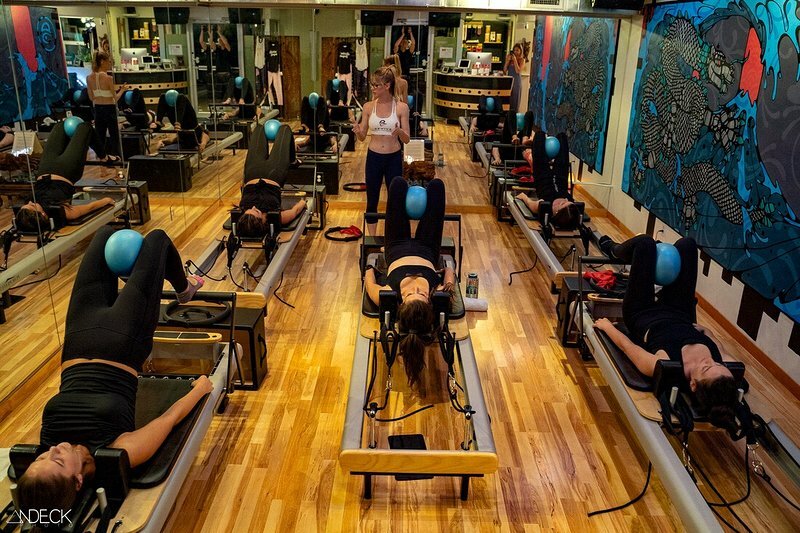 Revive Colorado, Reformer Pilates — Denv.Her. denv.her. 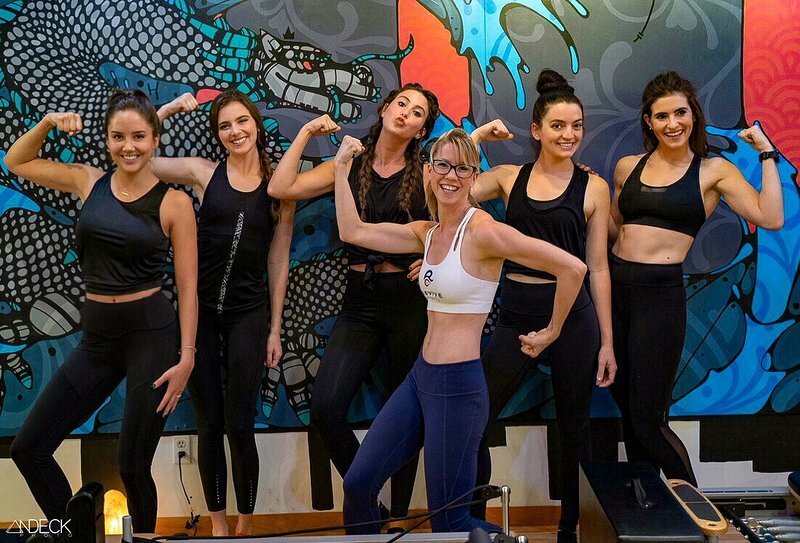 & friends recently took our first Reformer Pilates class at Revive Colorado led by instructor, Katie Wiegman. Brent Andeck Photography coming in hot with some fire shots of Revive and our class. Pilates - a form of working out created by Joseph Pilates in the mid-1900’s. 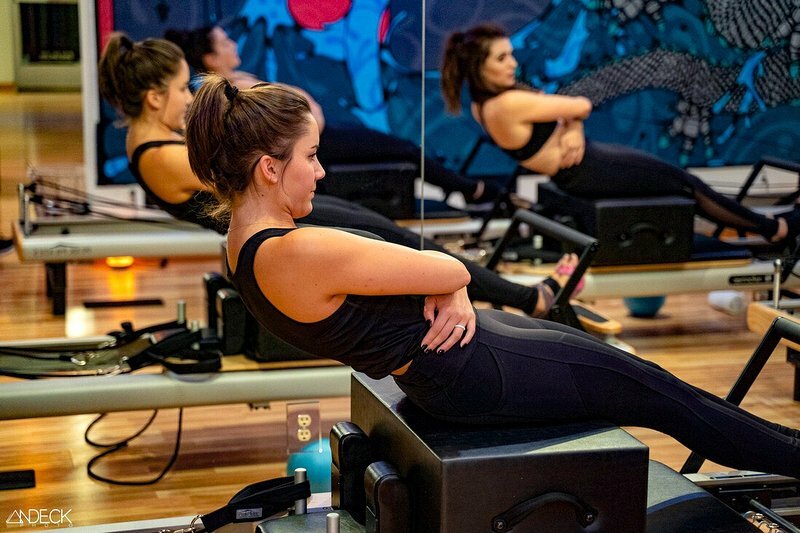 Pilates uses an apparatus called a reformer which is used for conditioning the body through strengthening (with heavy focus on core) and stretching (with a focus on body alignment). Pilates is a low-impact, highly effective form of exercise that uses resistance to tone and strengthen muscles. 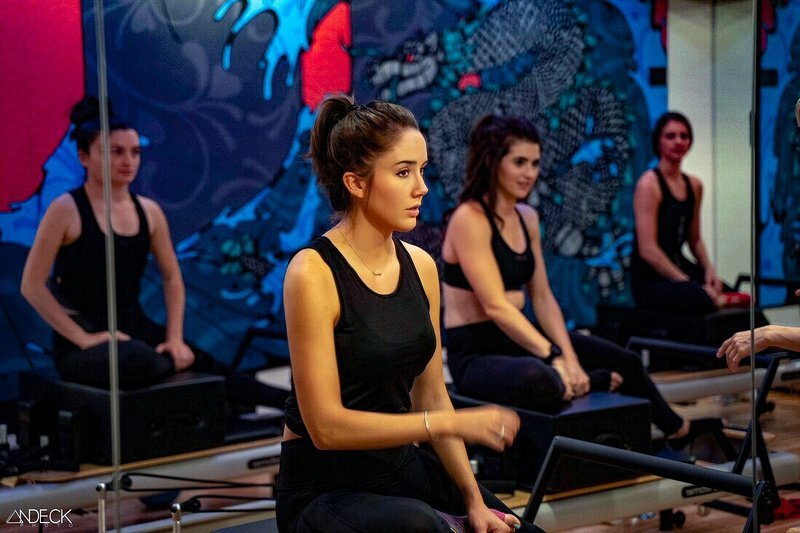 Our first time attending a reformer Pilates class did not disappoint. 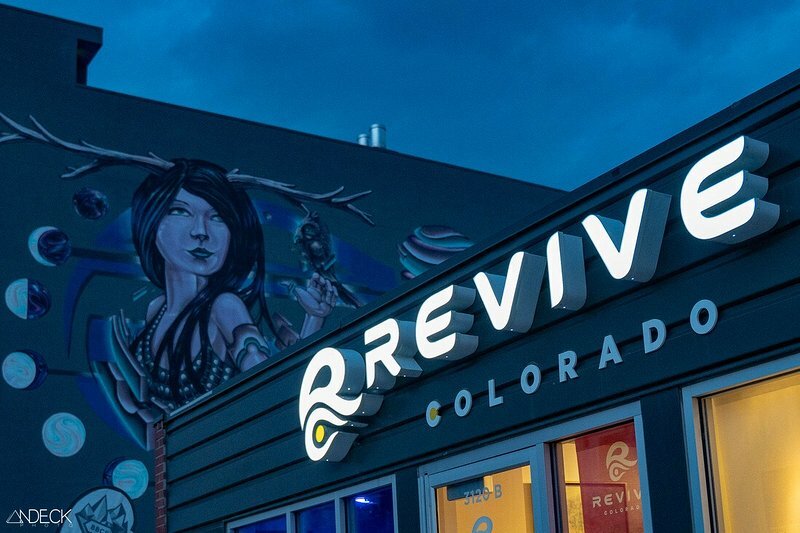 As you enter the space at Revive Colorado, you are greeted by a colorful graffiti wall and a handful of reformer machines. 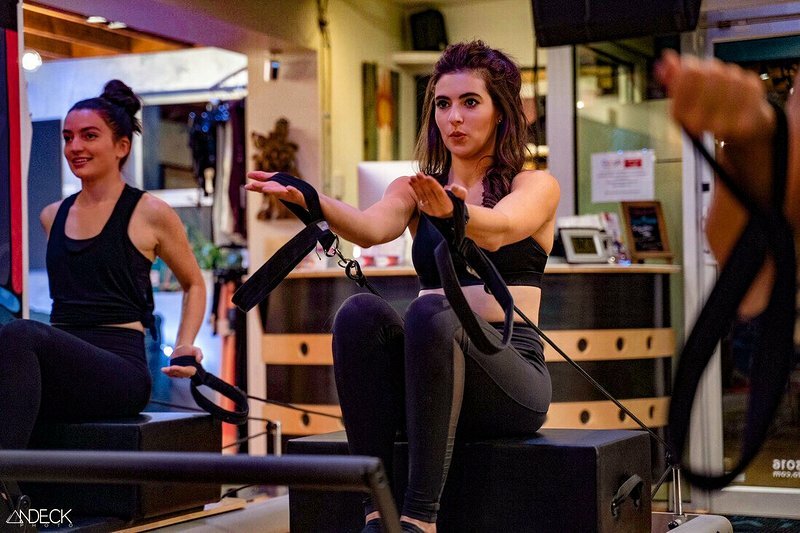 Revive prides themselves on offering small and intimate Pilates classes to ensure the instructor can easily adjust students' movements in order to avoid any injuries. Which like, thank goodness because I was all over this machine lol #halp. We soon got into a few arm exercises similar to bicep curls and tricep kickbacks… our arms were SHAKING after these movements. The isolation and resistance create a strong formula for muscle toning. These arm workouts lended to the reformers becoming SUPER fun people -aka grabbing the arm straps and propelling ourselves forwards and backwards over and over #muchfun #muchchild. BUT it's important to heed your instructor and get the correct posture and movements down before messing around #safetyfirst! The reformer machine is operated by several springs with varying levels of resistance. Katie seamlessly guided us in adjusting these springs throughout the duration of our class. We walked through a sequence of movements on the reformer, finding our center & balance before moving onto more advanced movements. Katie was super involved helping our group get aligned and using the machines correctly. 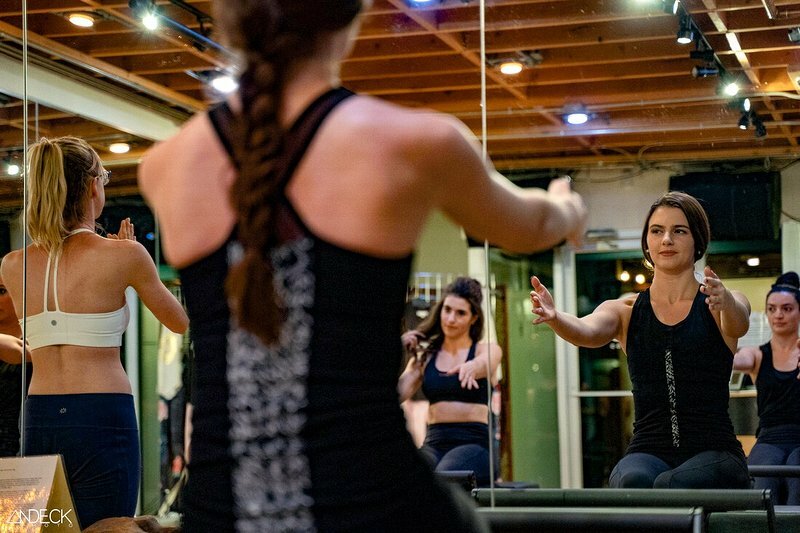 Katie informed us that the most important part of Pilates is focusing on engaging your core. The majority of the exercises provide a core workout in addition to various other muscles targeted. We moved through several ab exercises including some side crunches using the box on the reformer. 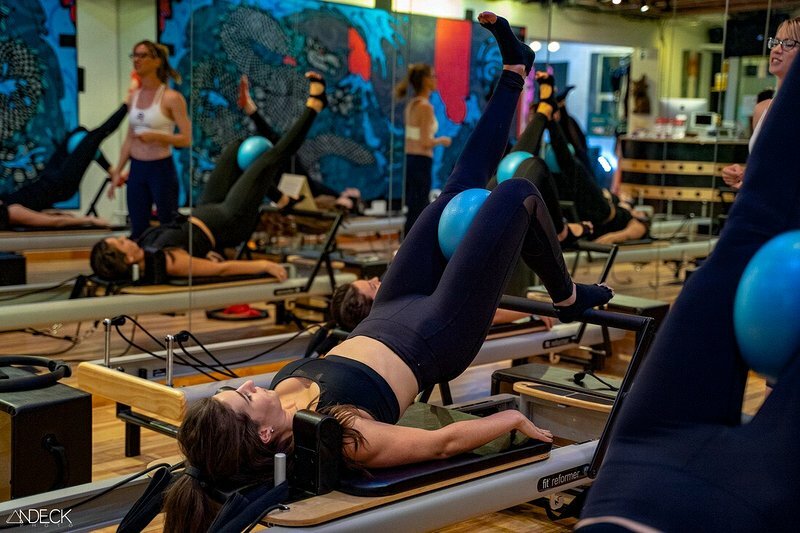 The most fun exercises came at the end of class when we put our feet in the soft reformer loop strap holes and used our legs to guide the reformer up and down! One, two, three, four, five, splits, #spreadeagles, back flips, flip flops, one right after the other. Ok so no, no back flips - BUT lots of spread eagles lol - Velma Kelly would be V proud. Once again, "In 10 sessions you'll feel the difference, in 20 sessions you'll see the difference, and in 30 sessions you'll have a whole new body". Based on our first experience on the reformer, Mr. Pilates was not joking around with that quote. The Reformer Pilates movements are V different from our standard workout routines and we were all SO sore (in a good way) the next day. Katie was such a quirky, fun and knowledgeable instructor that really helped us get our Pilates burn on. Also her body is #insane. Those muscles and abs? Just tryin' to get like Katie! Revive offers their classes at a wide variety of times to ensure they fit your schedule. Check out their schedule here. 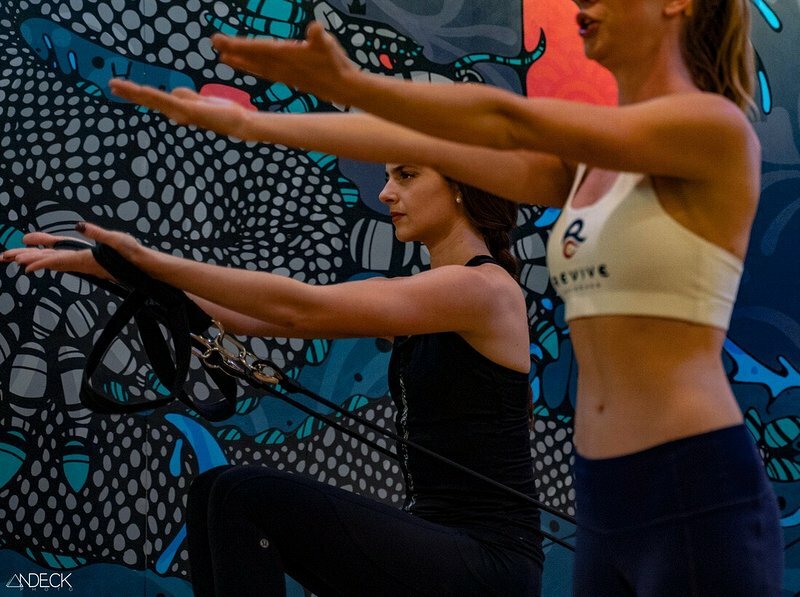 Revive Colorado's Fitness Studio additionally offers Yoga, Rewire & Refire Fitness classes for those looking to add multiple workouts into their lifestyle. Revive also offers Vitamindrip IV products and shots to keep customer's in line with their fitness and nutritional goals (actually obsessed with B12 and Vitamin D shots and we'll tell you guys all about those in a different post). See you all on those reformers & HUGE thanks to Revive for hosting us!! xoxo.